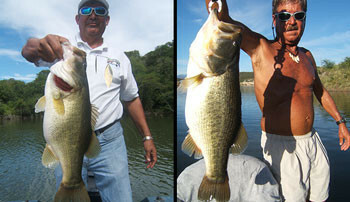 Lake Picachos is Mexico’s newest and hottest bass lake! A real bass factory!!! Lake Picachos is located approximately 30 miles northeast of the famous beach resort city of Mazatlán. The drive from the Mazatlán Airport to lake is just under 1 hour and the drive from the lake to 5-star El Cid Resorts, the first class hotel our anglers stay their last night, is only a short 45 minutes drive. This lake is by far the easiest and most accessible than all other lakes we’ve promoted and operated on…ever! The Picachos Dam construction started in 2006 on the Presidio River, which is the main river that feeds into Lake Picachos. 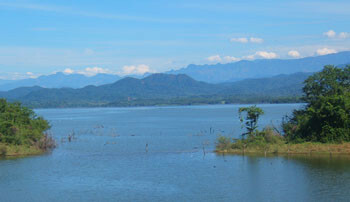 Construction of the dam was completed in 2009. The lake is simply filthy with bass from 2 – 5 pounds! 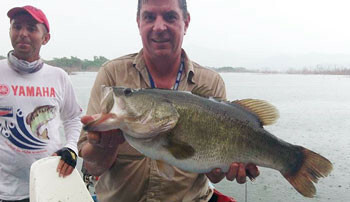 There are also MUCH larger bass in the lake with the lake record already being 12 pounds! Picachos is on the same level of other famous bass lakes when they first opened. 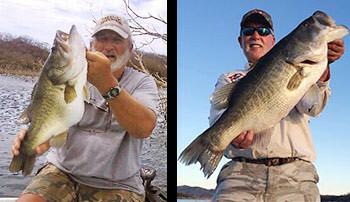 Lakes such as Guerrero, Comedero and El Salto…all lakes that were famous for producing 100 – 200 bass per day in the 2 – 5 pound class. What makes Picachos rank slightly ahead of those lakes is that it already has some Florida strain bass that weigh in excess of 10 pounds…and of course it’s much easier to access. Picachos is very brushy and heavy with cover! This lake is a spinnerbait fisherman’s paradise! While most lures in the tackle bag will work at any given time, the lake will produce more and possibly bigger bass on spinnerbaits, lizards, Senkos, Flukes and shallow running crankbaits. Also, the topwater action in the morning and afternoons can be phenomenal. Pop-R’s and Super Spooks have been the big producers! Due to Picachos being centrally located halfway between Mazatlán and our other fishing operation on famous Lake El Salto, we are planning to offer “Combo” packages that will allow our anglers to fish both lakes during the same trip! El Salto, now known more for it’s trophy size bass, allows the angler the better chance at hooking that giant bass of a lifetime while Picachos will produce more numbers of quality size bass than the angler could ever imagine! Never before has such a unique and wonderful opportunity come along to capitalize on BOTH in the same trip! We offer the angler such an opportunity! Ron Speed Jr. Adventures: Picachos from Ron Speed on Vimeo. 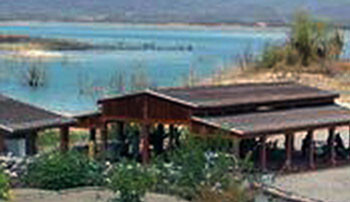 Picachos Bass Lodge, is located right at the water’s edge of the lake and near the small town of Puerta de San Marcos. The lodge and it’s location is truly an Oasis with the look and feel of a mini resort in Paradise. 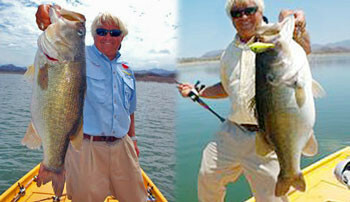 Picachos Bass Lodge is the closest and easiest access to the lake from Mazatlán. 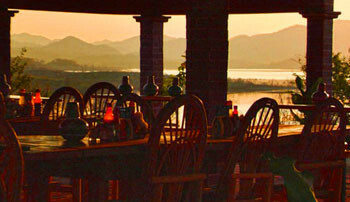 The view of Picachos from the lodge, which is located high on a bluff overlooking the main part of the lake, is absolutely breathtaking! 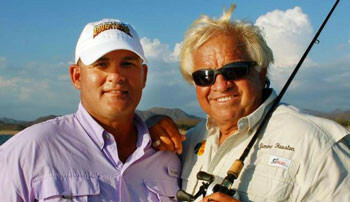 Picachos Bass Lodge “currently” consists of 10 houses for lodging a maximum of 20 anglers at a time. 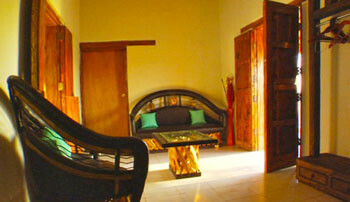 Each house consists of 2 bedrooms, a small living room area and a bathroom/shower. It also includes a dining facility to feed our anglers as well as plans to add a swimming pool. Puerta de San Marcos village is located just 3 minutes drive from the lake and Picachos Bass Lodge, and was built for all the families that lost their homes to the lake. The people there are some of the most friendly in the world. They are anxious to see foreigners visit their new village and are eager share their small “slice of heaven on earth” and culture with our anglers! The food…our menu will be similar to what we serve at El Salto & Comedero. Breakfast will consists of scrambled eggs, bacon, biscuits, toast, pancakes, variety of fruit and cereal. Lunch is always fried fish, fried potatoes, beef tacos and sandwiches for those that prefer something other than fish. 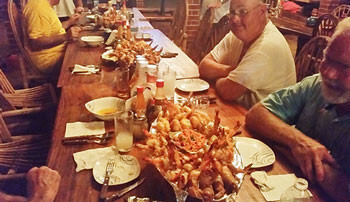 Dinner will consist of choice cut thick ribeye steaks on the grill, fresh huge shrimp from Mazatlán, Mexican dinner one night and Chicken Cordon Bleu for those staying four nights. Of course we’ll have our famous margaritas as well as other standard alcohol beverages (Bourbon, Gin, Rum, Vodka and Wine) plus purified bottled water, soft drinks to include diet drinks and tea. We believe in only the best for our customers so we have furnished all 3 of our lakes with XPRESS BOATS! 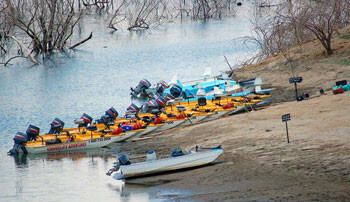 We knew from the beginning that we were getting the best bass boat for these types of rugged lakes (brushy and rocky). For those of you have only read our updates but still have yet to experience fishing with us, you should know that our customers absolutely love our bass boats. XPRESS really does make the best all-welded bass boat on the market and they’re absolutely perfect for fishing these lakes. Each boat is equipped with front and console mount sonar with down scan imaging. Each boat is also equipped with Minn Kota trolling motors …the best model of troller they make…the 70 Pro with 24 volt operating system. You will need to plan to bring your own lures and reels. However, we will have a large supply of medium and heavy action bait casting rods in the 6 1/2 – 7′ lengths. These rods are made by Temple Fork Outfitters and are some of the best rods on the market today. We offer these rods for our anglers for convenience and to avoid the hassle of having to lug the big heavy rod cases down to Mexico. Plus with the size and weight restrictions enforced by the airlines, it makes it very difficult to check rod cases on flights these days. We believe you’ll be very pleased with our bass rods on site. As we have done with all pickups at the Airport in Mazatlán for our other lakes, El Salto and Comedero, we will arrange for your pickup at the airport in Mazatlán through a transportation service in Mazatlán. This service provides you with licensed tour guides that are bilingual (Spanish/English) and their vans are first class. Your safety and comfort are top priority with us and these drivers and service provides such. They charge a fee of $75.00 per person (roundtrip) for this service AND you will pay the driver ONE TIME directly upon arriving back in Mazatlán after your last day of fishing. PLEASE NOTE: The $75 fee per person is based on a minimum of four people. If you were one of the unfortunate ones that missed out on these other famous lakes during their 100+ bass per day glory years, now’s your chance at redemption! These fantastic new bass lakes in Mexico don’t stay fantastic forever. To get in on the very best action on shear numbers, you’re better off fishing them in the first year or two years. 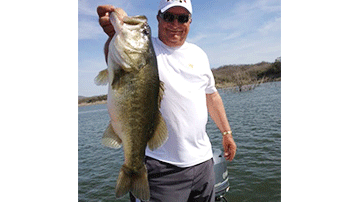 Call our office today to book your bass fishing trip of a lifetime! *Ground Transport: $75 per person (based on a minimum of 4 people).